Don’t let space constraints keep you from your next great adventure. Expand your storage capacity with our 8 GB Class 4 microSD card. The 8 GB microSD card arrives already inserted in the adapter, which can be removed for use with all devices that have a microSD card port. 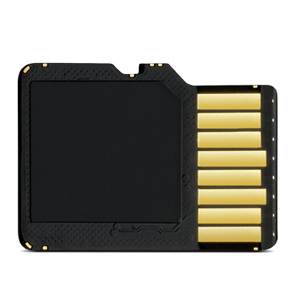 NOTE: If purchasing as a microSD card for recording purposes, we recommend Class 10 or higher for best results.